Sequence Inc. is led by Tracy L. Coenen, CPA, CFF, a fraud examiner with over two decades of experience in accounting and investigations. In addition to a strong technical and educational background, she has critical certifications and experience in a wide variety of industries. Sequence Inc. Forensic Accounting is based in Chicago and Milwaukee, and accepts cases nationwide. The firm has completed hundreds of forensic accounting engagements for companies ranging in size from small family owned businesses to large publicly traded companies. 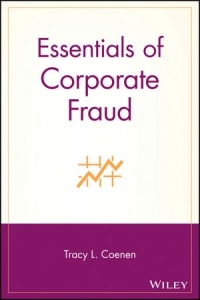 Core competencies include financial investigations related to embezzlement, financial statement fraud, investment fraud, Ponzi schemes, government inquiries and investigations, and white collar criminal defense. Tracy Coenen performs the vast majority of the work on all engagements. Because she is so hands-ons in each investigation, she can testify in depositions or trials with confidence. Tracy has brought together some of the best technology solutions on the market, utilizing several key pieces of software that enable her to analyze large volumes of data very quickly. By automating the tasks that would typically be performed manually by less experienced staff members, you are guaranteed unparalleled accuracy combined with impressive speed and efficiency. Tracy can get down to the business of investigating very quickly, giving clients a substantial advantage in litigation. Because Sequence does not provide any traditional accounting services, such as auditing or tax preparation, we rarely encounter conflicts of interest. Tracy can offer an independent and unbiased analysis of a case. Sequence Inc. has provided assistance to both plaintiffs and defendants, and Tracy has been qualified in multiple state and federal courts as an expert witness on financial and accounting matters. Don’t trust your case to any old accountant. Sure, your accountant knows numbers. But does he know fraud? Has he been an effective expert witness? You want someone with signficant experience investigating fraud. 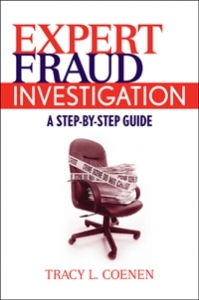 Tracy has completed fraud investigations in a wide variety of industries. The industry doesn’t matter so much as the fraud expertise and the investigative experience. Discover the advantages of working with a small forensic accounting firm. Sequence Inc. is small and nimble, completing many projects in only 30 days. We have the flexibility to complete your project on time, often within short deadlines. Do you prefer to talk to inexperienced staff or the real expert on your case? You will work directly with Tracy Coenen on all matters. Who wants to work with layers of inexperienced staff members when they could work directly with THE expert?